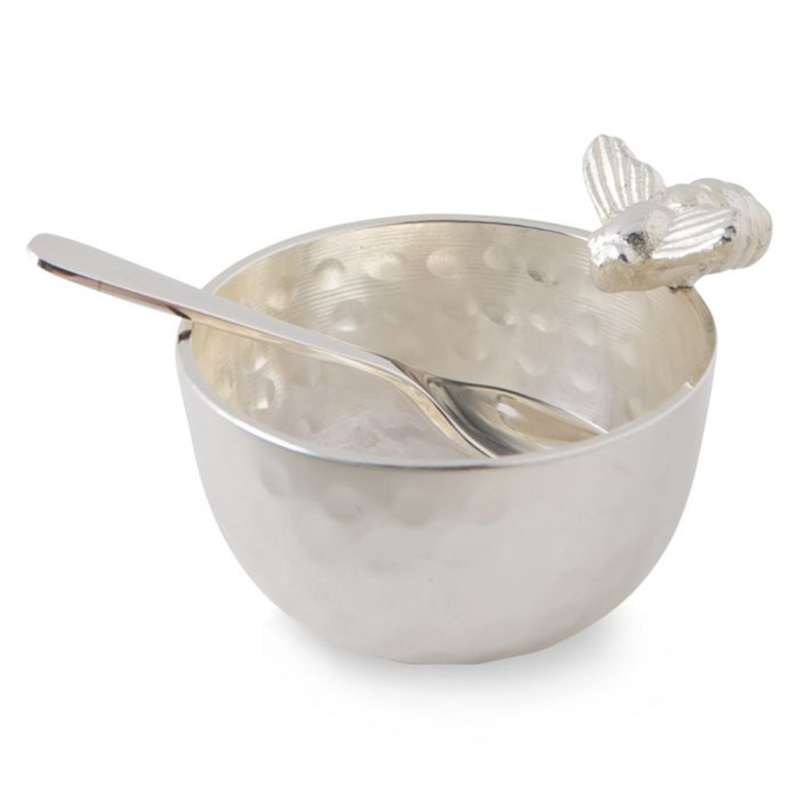 A beautiful bowl adorned with a decorative honey bee design with a stunning hammered finish; perfect for serving up honey, jams, creams, sauces and many other things. Accompanied with a spoon to make the perfect pair. 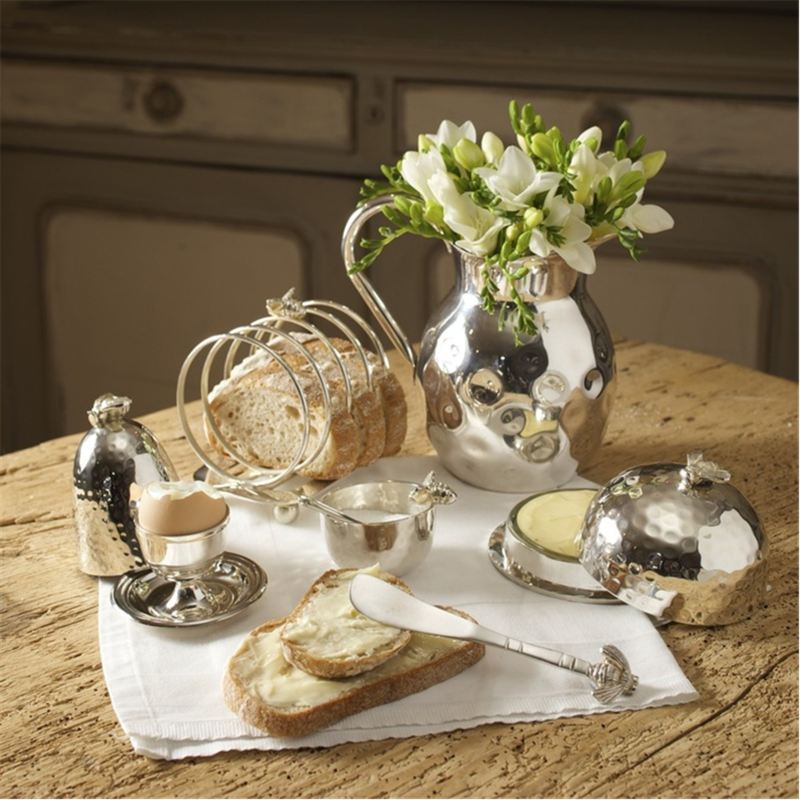 A lovely addition to any breakfast or brunch table.